The portable RD-23 single phase reference standard is one of the most versatile reference instruments ever. The RD-23 has a worst case accuracy of ±0.01 % for all measurement functions across its entire operating range, with a typical accuracy that is within traceability uncertainties. This worst case accuracy specification includes the variables of stability, power factor, traceability uncertainty and test system errors. A unique design makes the RD-23 unsurpassed in its ability to accurately measure “real world” waveforms. The RD-23 reference meter, includes an exclusive analog to digital signal converter. The RD-23 built-in converter is combined with Radian Research’s renowned electronically compensated voltage and current input transformers and a hermetically sealed reference. This combination-provides the highest degree of accuracy, stability and versatility offered in a portable three-phase standard. The compact light weight design of the RD-23 makes it an ideal reference standard for field testing applications. 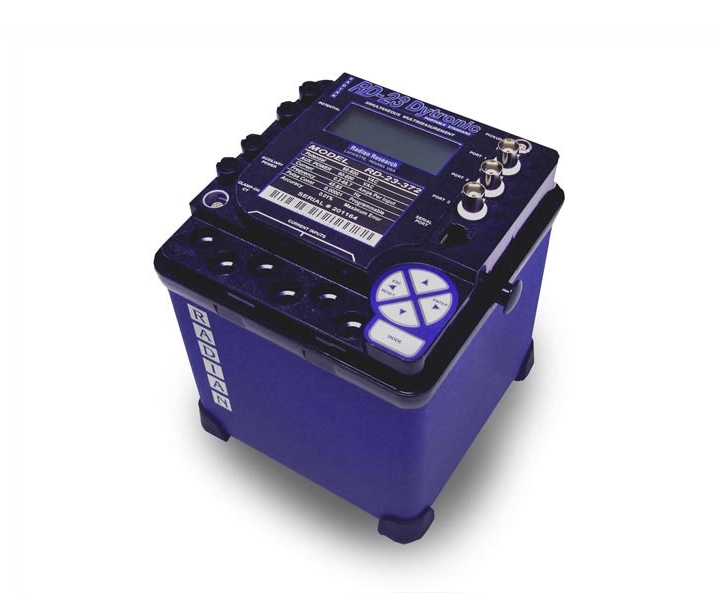 The RD-23 may be used with a controlled current source to accurately test revenue meters. In field applications the RD-23 can perform a single-phase meter accuracy test using existing service loads. Pickups to sense meter disk rotation or calibration pulses of infrared, visible light, or KYZ signals plug directly into the RD-23. It can be utilized to test reference standards of lesser accuracy and is also an ideal standard to be intergraded within a meter test bench where lower accuracy is acceptable. (1) Operating range. Specified range from 10mA to maximum current. (2) Operating range. Specified range from 45 to 65Hz.